Braiden McGregor‍ has seen his life completely change in the last 12 months. The 2020 Michigan defensive end didn’t hold a single offer at this time last year. On February 24th, 2018, the 6-foot-5, 235-pounder was offered by Central Michigan and it’s been an avalanche of offers and phone calls since. 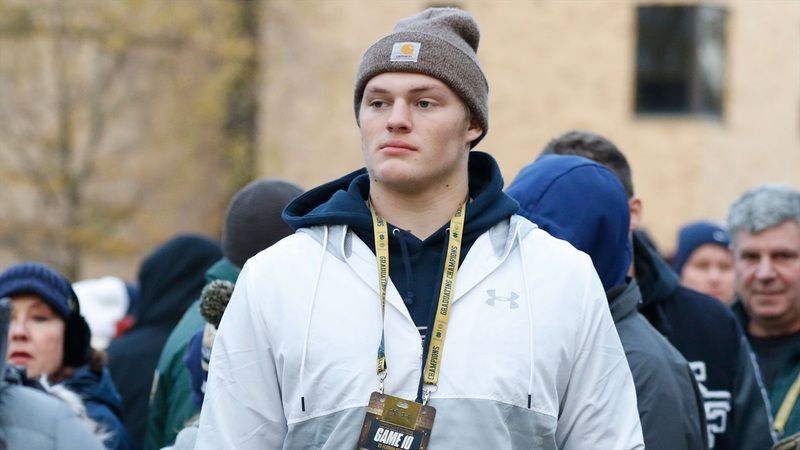 The Port Huron Northern High School star now holds 18 offers from programs like Notre Dame, Alabama, Clemson, Michigan, Michigan State, Nebraska, Northwestern, Ohio State, Purdue and Wisconsin among others. While the rush of attention can often cause some to change, not McGregor, according to his mother, Tara. As a mom, McGregor did have concerns about the adjustment with seeing some of the nation’s finest coaches call and stop by her son’s school. McGregor and her husband, Steve, have paid close attention and approve of the way their son is handling it all. The McGregors always enjoyed watching their son play sports and felt Braiden could play football, but they never knew he’d turn into a nationally sought-after prospect. In fact, he almost decided to stop playing football to focus on hockey at a young age. While Braiden decided to continue playing both, his mother thought it said a lot about her son. “It was a profound statement,” she said. Even as a middle-schooler, he showed the maturity college coaches have quickly fallen in love with and his parents would continue being caught off guard by things their son would say. McGregor has two sisters and an open line of communication from their parents has allowed all three children to mature while feeling comfortable to express themselves. 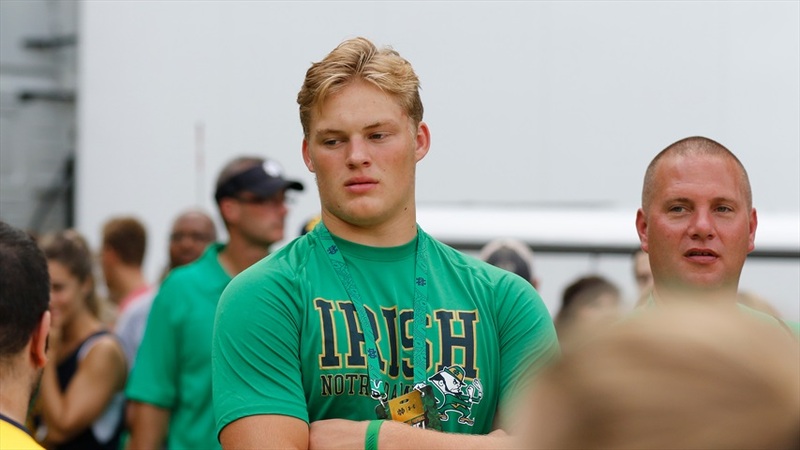 McGregor showed up to Notre Dame multiple times last spring and summer, but a left arm filled with tattoos popped up almost out of nowhere this summer. The tattoos served as a tribute to his grandfather and parents. “I’m a hairstylist, so I’ve always felt comfortable in my own skin,” Mrs. McGregor explained. “We really wanted our children to feel the same way. Our oldest daughter got the ball rolling with tattoos. Braiden thought about getting a tattoo and I thought he was insane because he was going to continue to grow. While the McGregors know most 17-year-olds don’t walk around with half-sleeves, this was about supporting their son. The half-sleeve has drawn the attention of many, which kind of goes against the personality of McGregor. However, the tattoos are a small aspect of the attention McGregor sees on almost a daily basis. Remember those offers from Alabama, Clemson, Michigan, Notre Dame and Ohio State? “It’s not really common for Braiden to stand out like that,” Mrs. McGregor said. “He’s always been a fly-under-the-radar. He’s never wanted attention and if attention is brought on him, he quickly shifts it to somebody else. It’s been a really hard thing for him to accept. McGregor might have been an unknown prospect last winter, but as noted, life has changed. 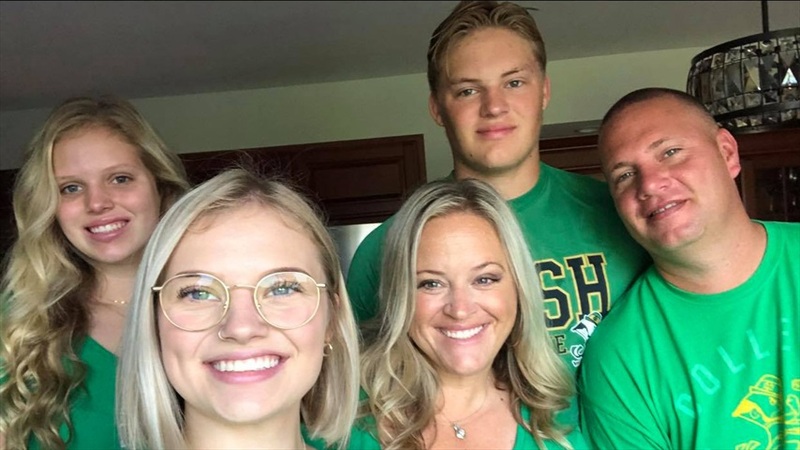 The McGregors are incredibly grateful for the support from those around them, which has allowed their son to handle the recruiting process and attention with ease. “The community support we have received has been astounding,” stated Mrs. McGregor. “It’s been remarkable. We’ll be in a restaurant and someone will congratulate him. We were heading into the grocery store and a man came up and said something about him being a great athlete and how fun it was to watch him. McGregor might have the attention of the Port Huron community, but it also has the attention of the Port Huron Northern standout. It’s not uncommon to see McGregor supporting his coaches’ kids at basketball games or taking the time out following football games to snap pictures with the local kids. 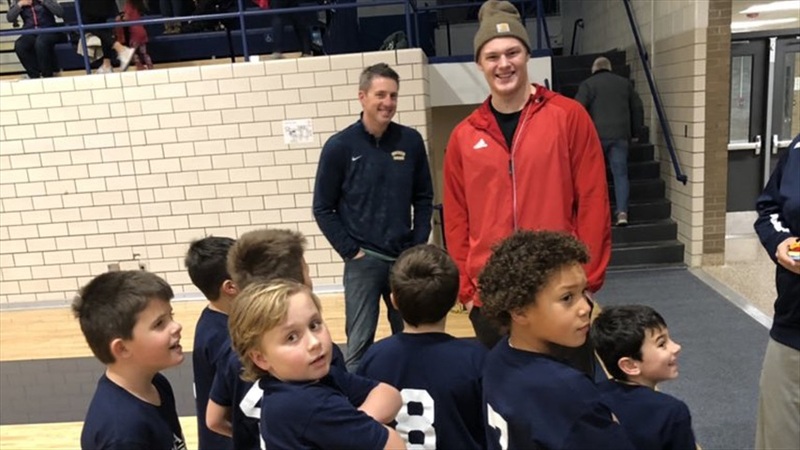 As a mother, seeing her son interacting with the local kids might be better than anything he does on the football field, which in this case says a lot. Recently, Braiden went to one of his coach’s young son’s basketball games. As with many recruits, Mrs. McGregor knows the life of her family will change drastically in the next year, but it’s deeper than just her son choosing to a school to play football. “From the very beginning, we have always told him he’s more than an athlete,” said Mrs. McGregor. “He is our son and if it ever gets too much, we told him to tell us. We’ve monitored it closely. We’ve always been a football-watching family. When our daughters were younger and didn’t want to watch football, they would leave the room and watch a movie. They were never forced. There is no hiding the attention on the football field, but the McGregors know they will be tested over the next few years and they’re a family that appears up for the challenge. “All three of them are super close and this new success hasn’t fallen unnoticed from his sisters,” explained Mrs. McGregor. “They are proud of him but we as parents, we want to make sure they all feel as loved as the next one. “We know our lives are going to be forever changed. When he goes away for football, it’s not ever going to be the same in our house again. We aren’t going to see him and we’re so used to seeing him, so that’s been hard, but it’s a reality. If he’s an hour away, five hours or 12 hours away, it’s going to change the dynamic of our family. In the near future, McGregor will release his list of top schools and while the country will be focused on those programs, the McGregors will be focused on supporting their son in his final decision. “We don’t want to sway him one way or another,” said Mrs. McGregor. “This is his life and his decision. My husband and I try very hard never to influence where we are feeling. Would I ever put it on him so he would carry around this guilt of staying close to home? We haven’t done that at all to him.